Charge your phone with an avocado! OK, so it’s not a real avocado, but mis-leading click-bait headlines is how journalism works, isn’t it? This thing isn’t going to fully recharge your phone – it’s more of a top-up device as there’s only a 2200mAh battery in it. You charge it off the mains and then plug your relevant cable into your phone to charge on the go. What else can I say? It’s cute, it looks funny and has a small outlet. A lot like me really. Get one here for £14.99. 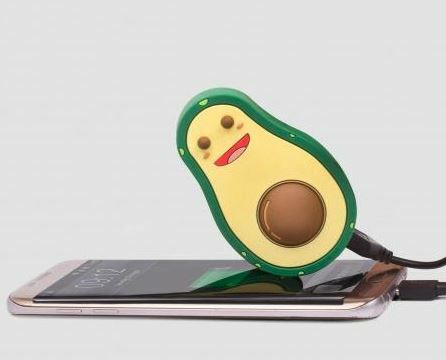 The post Charge your phone with an avocado! is original content from Coolsmartphone. If you see it on another news website, please let us know.